The following are the various types of registered company. Apart from these, a business may be set up as a sole trader (self-employed person), as a partnership or as a limited liability partnership (LLP). Each format has its advantages and disadvantages. Incorporation Services Limited provides an expert service for all your company formation and company law requirements and there are more details about these types of companies on the ISL website. Many private companies are very small. There is no minimum capital requirement for a private company and it is commonly less than £100. Approximately 90% of private companies are small or medium sized companies which means that they can file modified (i.e. simplified) accounts at Companies House, rather than full accounts. A private company may not offer shares or debentures to the public: CA 2006, sec755, only a public company (PLC) may do so. For more advice on the practical aspects of forming a private limited company go to the Incorporation Services Limited website. A small proportion of companies are public companies. Such a company must have a name ending in the words 'public limited company' or 'PLC'. This type of company is appropriate for larger businesses where shares are intended to be available to the general public. Most public companies are not set up as such but are converted from private ones. 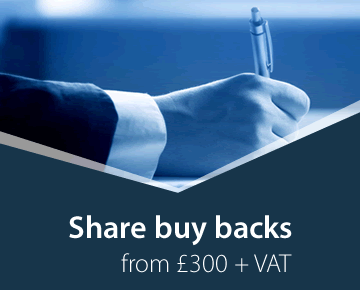 A public company must have a minimum share capital of £50,000, of which at least one-quarter plus any share premium must be paid up before the company can obtain its trading certificate from Companies House and start trading. This is the only type of company which may raise capital by offering securities (shares or debentures) to the public. This is usually done by obtaining a listing on the Stock Exchange or another public market such as the Alternative Investment Market. Public companies are subject to more stringent legal requirements than private companies on a wide range of matters, but especially in relation to share capital, directors and accounts. For more advice on the practical aspects of setting up a PLC, or converting an existing private company into a PLC, go to the Incorporation Services Limited website. A property management company is a type of private limited company. Such a company will be set up in order to hold an interest in property which is divided into units, each unit being owned separately. A typical example is a large house divided into a number of flats, each flat being owned by one or two people. There will usually be a need for somebody to own the building as a whole, including common parts such as stairways, gardens, access paths etc. Unless there is a landlord retaining this interest, the simplest legal device is for a company to be set up to own the freehold of the property, and for each owner of a flat to have an interest in the company. Most property management companies are private companies limited by shares with appropriate articles of association, though some are limited by guarantee. Some property management companies will do no more than hold the title to property and so can be considered as dormant companies under the Companies Acts, allowing pro forma dormant company accounts to be registered at Companies House. This helps keep administration costs to a minimum and is useful where where the property is small with little or no routine maintenance which can be arranged between the owners of the flats without involving the company. For more advice on the practical aspects of forming a property management company and running it once registered, go to the Incorporation Services Limited website. The Community Companies website has much more detailed information about companies limited by guarantee, charitable companies, community businesses, community interest companies and related topics. A company limited by guarantee is private company, very like a private company limited by shares, but it does not have a share capital. It is widely used for charities, clubs, community enterprises and some co-operatives. The vast majority of such companies are non-profit distributing, but they do not have to be. A company limited by guarantee is registered at Companies House, has articles of association, directors, etc., and is subject to all the requirements of the Companies Acts (except those relating to shares). There are no shares and so no shareholders, but such a company does have members, who meet and control the company through general meetings. 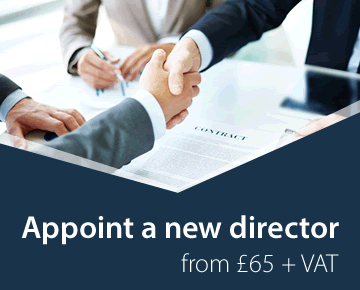 The directors are often called a management committee or council of management, etc. but in law are still company directors and subject to all the rules that affect other directors. A company limited by guarantee confers limited liability as effectively as a company limited by shares. The articles state that the members guarantee to pay its debts, but only up to a fixed amount each. Usually that sum is £1, and no member can be liable for more than that amount if the company fails. For more advice on the practical aspects of forming a company limited by guarantee, and the uses of such companies, go to the Community Companies website. Many people refer to a sole trader's business or a partnership as an unlimited company, but such businesses are not in fact companies. It is possible to register at Companies House a private company which is unlimited, that is the members accept complete liability for the company's debts. If the company needs money to pay its debts a call can be made on each of the shareholders to contribute a fixed amount on each share held by them. An unlimited company has all the other features of a private company limited by shares. It is registered at Companies House, has members (usually shareholders), directors, articles, etc. Its one major advantage is that it is not required to register annual accounts at Companies House. 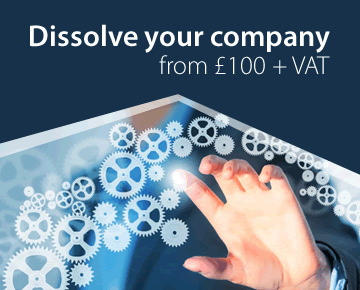 This type of company is suitable for a business where the risk of insolvency is very low or non-existent, or where it is important not to put the company's accounts on the public register at Companies House. There are few unlimited companies, but this may be because their existence and advantage are not widely appreciated. For more advice on the practical aspects of forming an unlimited company company and running it once registered, contact Incorporation Services Limited. The limited liability partnership is a comparatively new type of business structure which became available in 2001. It is a hybrid between a private company limited by shares and a partnership. An LLP is a separate legal entity conferring full limited liability on its members. It is created by registration at Companies House. There must be at least two members, but there is no upper limit. An LLP is subject to the same rules as a private limited company for the registration of accounts at Companies House, and the auditing of its accounts. The same exemptions from these requirements are available. The Act does not impose a structure for the management of an LLP. There are no statutory provisions for general meetings, directors, company secretary, share allotments, etc. As with a common law partnership, these are matters for the LLP agreement. There is no statutory requirement to register (or even to have) a written LLP agreement, but such an agreement is essential in practice. The LLP is treated for tax purposes as an ordinary partnership: i.e. each partner is liable to income tax for his or her share of the profits, and to Capital Gains Tax in respect of any gains made on the disposal of assets by the LLP. Click here for more details on LLPs. For the formation of an LLP, go to the Incorporation Services Limited website. For LLP agreements go to the Company Law Solutions website. The Community Companies website has much more detailed information about CICs as well as companies limited by guarantee, charitable companies, community businesses and related topics. Community Interest Companies are a relatively new type of company (from 2005) which can only be registered for objects which are for the good of the community. The Companies (Audit, Investigations and Community Enterprise) Act 2004 ('the Act'), and The Community Interest Company Regulations made under the Act, establish the legislative framework for CICs. Apart from having to have objects that benefit the community, the two main features that distinguish CICs from 'normal' companies are the asset lock and the Community Interest Statement and Report. Under the asset lock provisions, the assets and profits must be permanently retained within the CIC, and used solely for community benefit, or transferred to another organisation which itself has an asset lock, such as a charity, or another CIC. With every application to form a CIC, a Community Interest Statement must be lodged, with the usual documents, when seeking company registration. This statement, signed by all the directors, must describe the company's objects and certify that the company is formed to serve the community rather than for private profit. 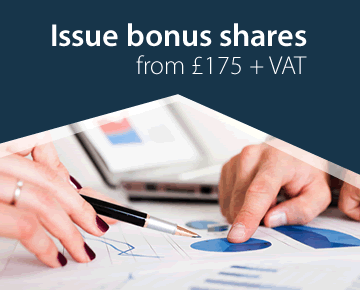 CICs can be limited by shares or by guarantee. For more information about CICs, go to the Community Companies website. This new type of company became available for registration in England and Wales from 10th. December 2012.It has been available in Scotland since 1st. April 2011. Charitable Incorporated Organisations (CIOs) were brought into being by the Charities Act 2006. Detailed regulations are in the Charitable Incorporated Organisations (General) Regulations 2012 SI 3012. It became possible to submit applications for registration from 10th. December 2012 in England and 1st. April 2011. CIOs are designed to be a more efficient way to register an incorporated charity. Until CIOs became available a charity that wished to be incorporated (and so have limited liability) had to register as both a company limited by guarantee and as a charity. Using a CIO should be simpler to incorporate and run as it will be registered with just one body (the Charity Commission) and will only have to submit one annual return and one set of accounts per year. Further details are on the Charity Commission's CIO Page for CIOs in England and Wales and from the Office of the Scottish Charity Regulator for CIOs in Scotland. Community Companies CIC offers a full package of services for CIOs, from first registration to secretarial and other drafting work. We cannot advise about putting the process into effect, but we can set up the RTM Company. There are special regulations in the RTM Companies (Model Articles) (England) Regulations 2009 as to the contents of the articles of association. Contact Incorporation Services Limited for the electronic registration of a Right To Manage Company. A private company limited by shares can be converted into a public company and vice versa, or to an unlimited company. An unlimited company can be converted to a private company limited by shares. A company limited by guarantee cannot be converted to a company limited by shares or vice versa. Existing companies can convert themselves into CICs but such conversions require the approval of the CIC Regulator. Where the company converting to a CIC is a charity, the permission of the Charity Commission is needed for a change of name. For more advice on the practical aspects of converting one type of company to another, please contact Company Law Solutions.